So Jessy Mendiola and JC de Vera are just friends. There maybe a shadow of doubt right there. But where we are doubtless is that the "You're My Home" stars look hot and very good together while working in Boracay. They themselves have clogged our Instagram feeds with sizzling photos! There's one photo that looked like Jessy was playing with JC's phone. JC uploaded the photo later on, urging their fans to vote for his leading lady to be FHM's sexiest. 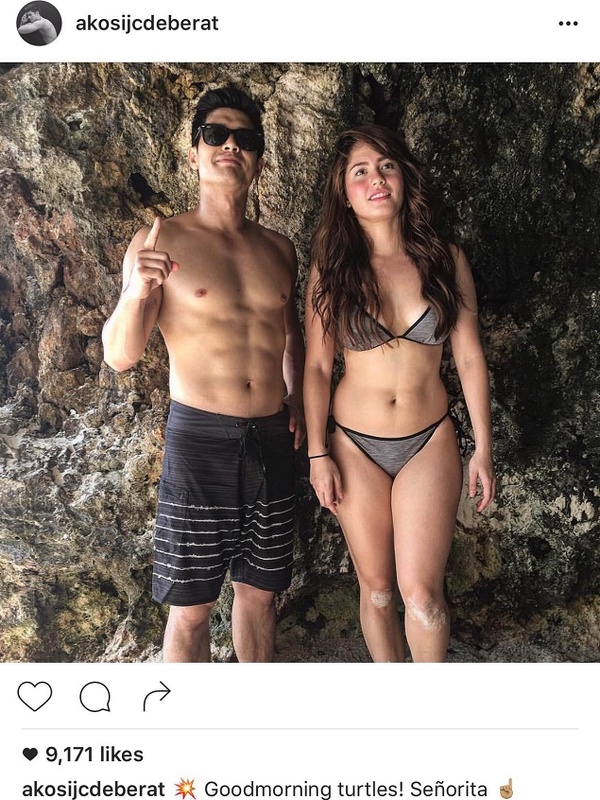 Then there is that couple shot on the beach with Jessy so proud of JC's abs. The celebrities are now in Boracay taping for the gag show Banana Sundae. These photos should be enough teasers of what you can expect on the show. It looks like we have another showbiz royal couple and we wish them nothing but endless summers. Golf players likewise utilized the shirt as their own special, frequently with golf slices to make them genuine golf shirts. It's standard wear for golf players at this moment.